Newcomer Family Obituaries - William Moore, Jr. 1943 - 2019 - Newcomer Cremations, Funerals & Receptions. 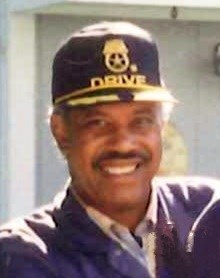 William Moore, Jr. age 75, passed away on April 4, 2019. He was born on June 8, 1943 to the late Mary Alice (Clarkson) and William Moore, Sr. in Dayton, Ohio. Bill retired from Roadway where he worked as a Truck Driver and received many driving awards over the years. He was a proud Vietnam Vet and Navy Seal. Bill was a graduate of Dunbar High School where he ran track for Coach Albritten. Bill was preceded in death by his son, Jason Moore and sister, Mary. He will be remembered by his grandsons, Jordan and Joshua Moore; granddaughter, Symone Ealy; great-grandsons, Trenten, and Bryson Ealy; daughter-in-law, Ta-Leia Moore; sisters and brothers, Elsie Williams, Charles Fields, Freddie Fields and Linda Trabue; family friends, Tyrone and Delores Holloway. Burial will be held on Monday, April 22, 2019 at 2:30 p.m. at Dayton National Cemetery, 4400 W. Third St., Dayton, OH 45428. The family requests memorials be made to: Wounded Warrior Project. Add your memories to the guest book of William Moore, Jr..
To The Family we the Martin Brothers Gerald and Dwight and our families send to each of you Our Deepest Sympathy in your loss.